Oh Amazon, how much do I love thee? 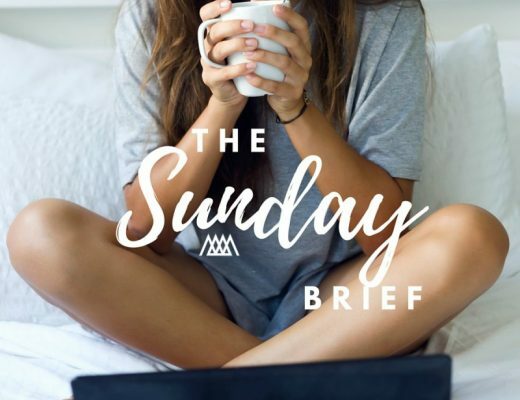 What once was a destination for miscellaneous household items has now become my new favorite e-commerce playground to scour the cutest fashion trends for some pretty awesome prices. And trust me when I say that for these amazing prices, the quality is equally amazing, so no need to fear! I only want to share all the good stuff with you ladies because after all, that’s what friends are for right?! So I have to admit I’ve been on this dress kick lately. 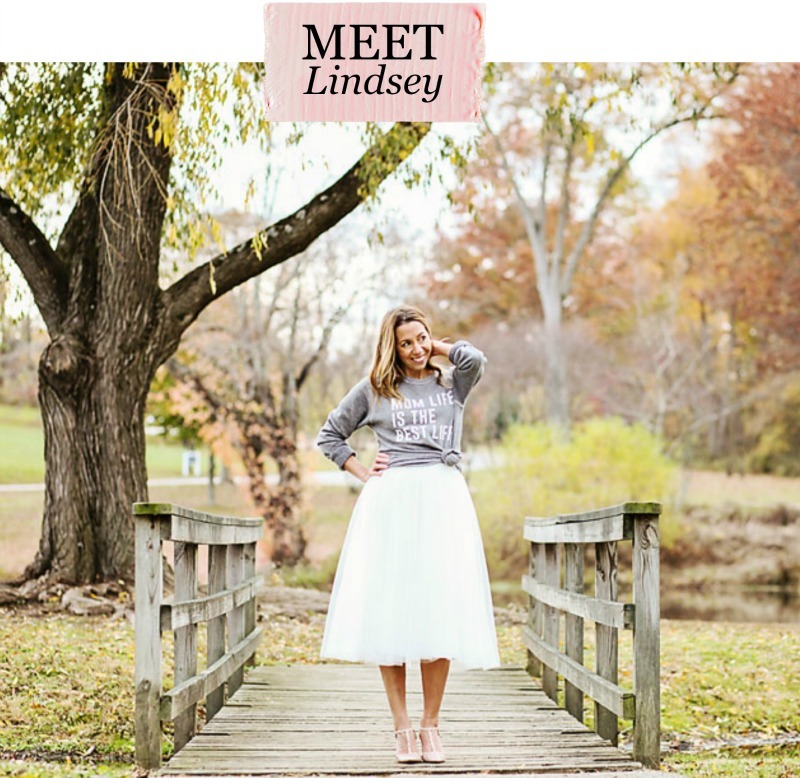 Maybe it’s the impending warm weather, maybe it’s weddings that are coming up, maybe I’m just finally leaving my jeans-and-a-tee safe haven (HA never!). 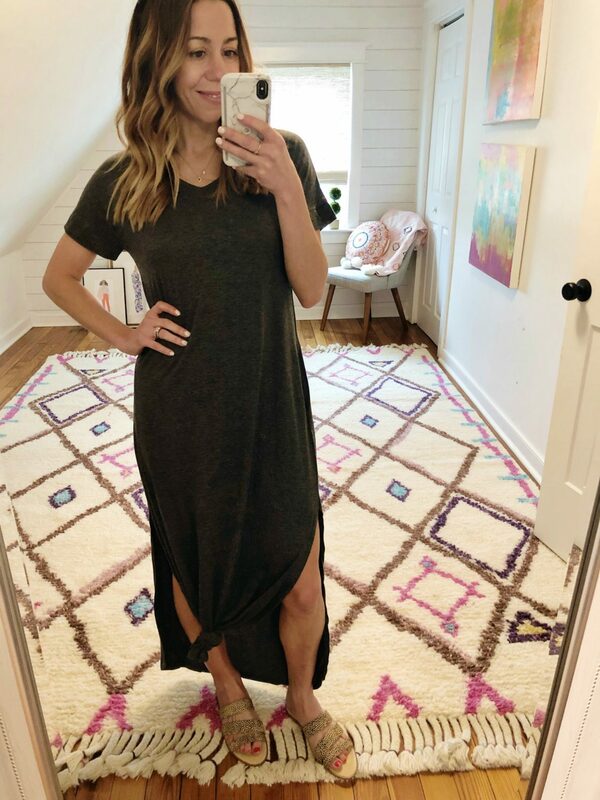 I feel like I am always coming across these super adorable dresses on Amazon for these insane prices and I just can’t help myself! 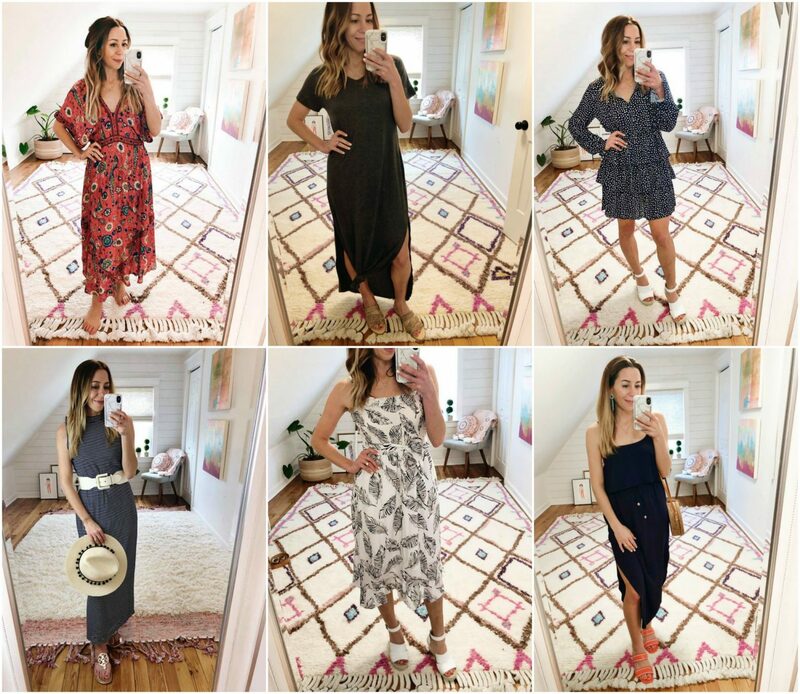 From easy maxi dresses to fun, flirty party styles I’ve rounded up my favorite recent picks and including a few others from the ‘zon. This little number is ready for your next vacation and craving the salty air of the beach. The armholes are a bit wide so I would suggest a cute little bandeau or bralette to wear underneath. The beauty of dresses (besides being, well, beautiful) is that they are a one-and-done piece. Easy, comfortable styles like this pretty girl are perfect for school drop-offs, running errands, even a traveling/airport outfit. I knotted the bottom front of mine to give a little more style and paired with leopard slides. Now you’re ready to crush the day! We’re getting into horse race season, and we all know that the weather can still be a little unpredictable…even in the month of May. 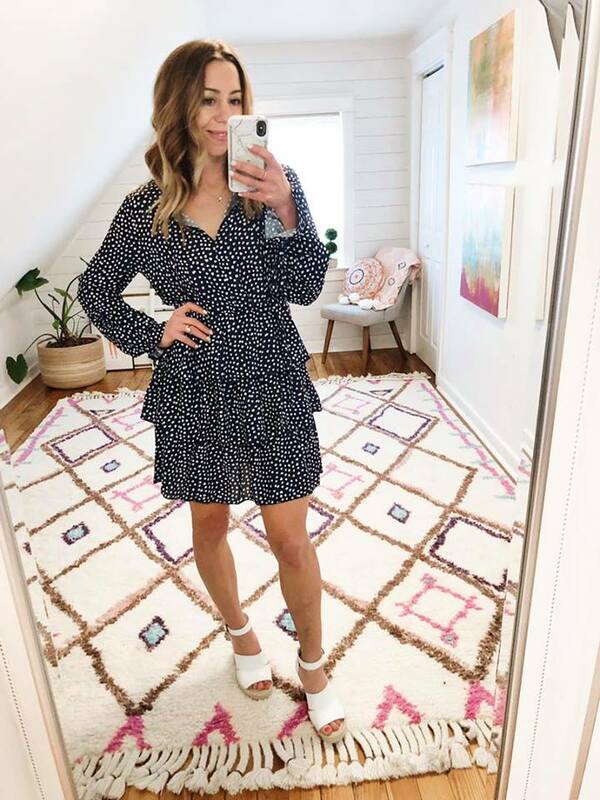 Set yourself apart in this navy-grounded polka dot dress, a fun pair of espadrilles and your best fascinator (or floppy hat) and place your bets on how many compliments you’re going to get. And then pretend to know how horse racing works. I’ve said it before and I’ll say it again — I never met a stripe I didn’t like. 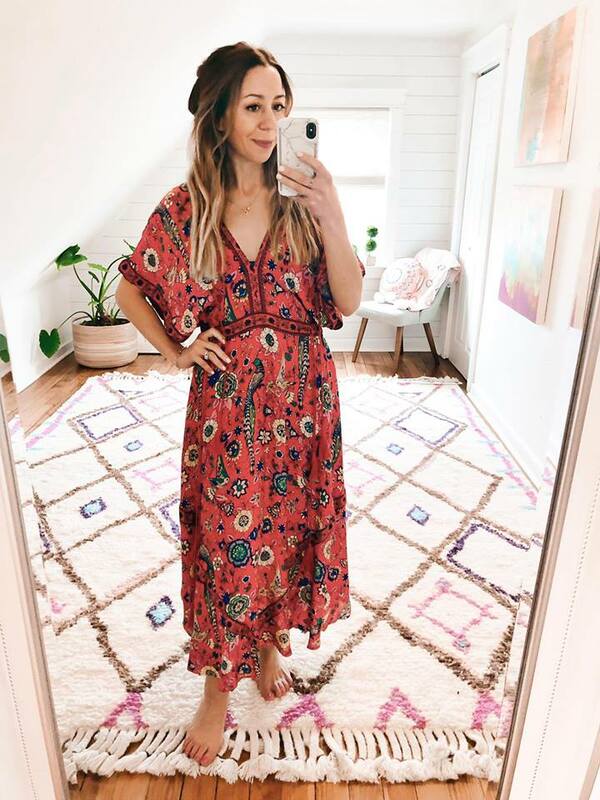 This dress has more of a straight silhouette, which is actually still very flattering and great to throw on for a quick lunch with friends or even as a cute coverup. 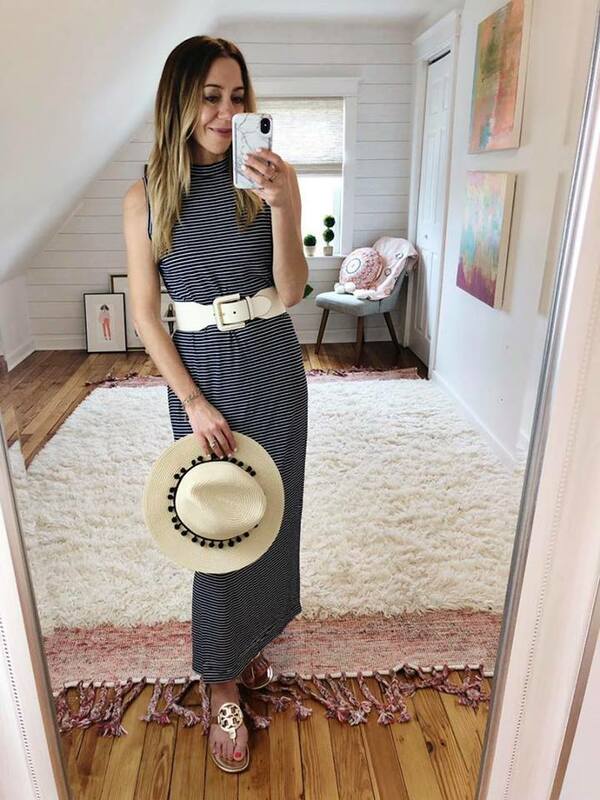 I decided to belt it and throw on a hat for a little brunch to BBQ sassy outfit. Besides accessories, prints are the best way to spruce up your outfit…especially when it’s a dress! I love this simple black & white print because when you add in something like a bright pair of earrings or bold bag, it takes everything from cute to CAAUUUUTE! Talk about a versatile dress! This can go from a trip to the mall to date in a pinch with the change of a few accessories. 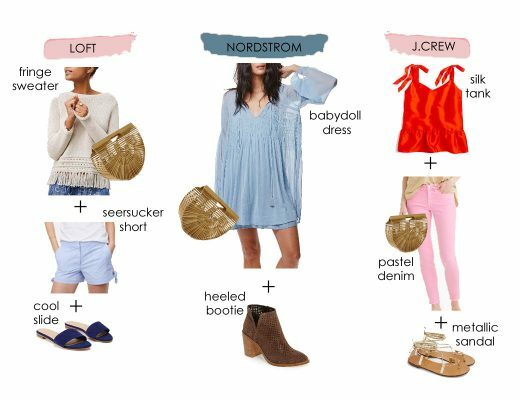 I like punching up navy with bold pops of color but then tone everything else down, like a neutral straw bag.